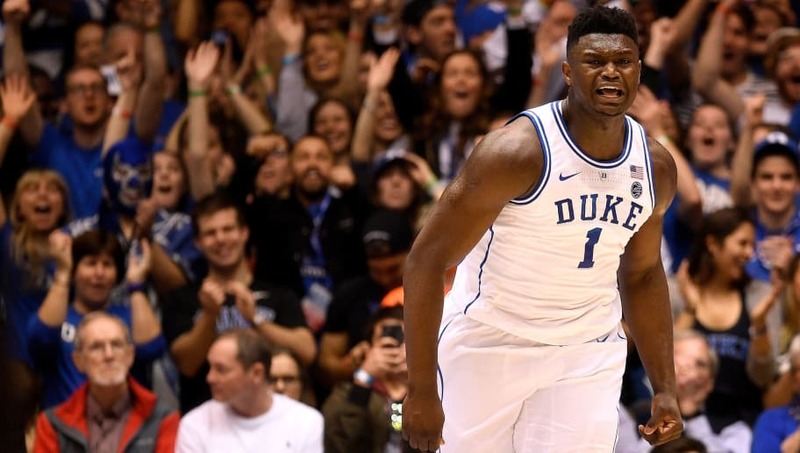 Duke's star big man Zion Williamson has been turning heads with his monstrous dunks since he began his college career this season. At 6-7, 285 pounds, there aren't many powerful basketball players like him. We've decided to break down Williamson's best dunks so far this season. This play by Zion is stunning. He gets the steal, passes the ball to a teammate up the court, then follows the play to pick up an insane alley-oop. The combination of athleticism and basketball IQ on display here is something that few players are lucky enough to possess. On this effort, Williamson sees the the opportunity to take the ball right up the gut. He splits Kentucky's defense and takes it straight to the hoop using his enormous size and athletic ability. Zion is able to cash this one in while going basically untouched. Zion anticipates a lazy pass from an Indian player and picks it off. He then nonchalantly takes the ball over to the hoop and slams down a relaxed windmill to get the crowd going. The arena erupted for Williamson after this one. Zion took flight on this insane alley-oop. Cam Reddish passed Zion a huge lob pass toward the hoop, and Zion was somehow able to get to it. He jumped so high that he was eye-level with the basket before he slammed down one of the more impressive alley-oops we've ever seen. Again, he's 285 pounds. Another heads up play for Zion earns him a steal and an open jam once again. He turned an NCAA Basketball game into the NBA All-Star Slam Dunk Contest with this one. With the elegance of a figure skater and the power of a linebacker, Williamson throws down a 360-dunk in the middle of a game.